Looking for your dream house or smart investment? NuProp helps new home buyers & investors to search for new property launch in Malaysia which includes Kuala Lumpur (KL), Selangor, Johor, Penang & many more. NuProp can help you to find your ideal landed or high-rise property and assist to get contacted directly with real estate developer promptly. In addition, there are more than 500,000 new home buyers and investors who are using NuProp every month! NuProp has 200+ new projects in Malaysia with more than 100 developers has engaged with us. We are providing new launch property and new property for sale information that directly leads you to keep in touch with developer’s team. NuProp aiming to cover all of the new properties information from all over Malaysia. We are only engaging directly with the developers which make all of the property listings information is reliable and updated. NuProp provides an accurate information of new properties including price, location, floor plan, facilities, amenities, photos and many more in order to assist new home buyers & investors to find your ideal new property. NuProp is specialized in new property search where you can find and compare within the new property project more easily. We are continuously improving our user function to make this new property portal site accessible & convenient for new home buyers and investors in Malaysia. You can compare and find new properties for sale easily. Once you find your ideal property, click and go to property detail page for more details information. You can filter by various options from 200+ new property projects in Malaysia. Property type, city, price, tenure, completion year and more. You can refer to the various beautiful pictures to image on your whole new life with your ideal home. Pictures are provided by the developers and we will update the pictures according to projects status. You can deeply check on the location and accessibility and also to understand the distance from surrounding connectivity including train station or hospital or school/university. You can refer to the floor plans and price that is available for you to buy. You can choose your ideal floor plan depending on your daily lifestyle. So, ready to start your new life at NuProp? Search new property launches in Malaysia. You can find new house and investment. 200+ Developers post new launch projects and developments on NuProp. 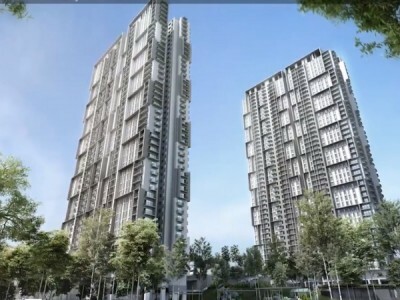 Malaysia’s main developing area consisting of Klang Valley (Kuala Lumpur and Selangor), Johor and Penang has 500+ new launch properties (condominiums and landed properties) developed by more than 200 developers. 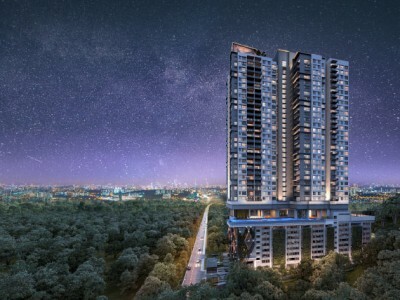 Kuala Lumpur (KL) consist of many luxury projects and mainly focusing on new condominium projects for investment purpose with price ranging from RM500k –800k. Meanwhile in Selangor, New Condominium and Landed property are for own stay and investment with price ranging from RM300k - 400k (condo) & RM500k - 600k (landed property). With the population of more than 6 million, Petaling Jaya is the most popular city to live in Selangor. 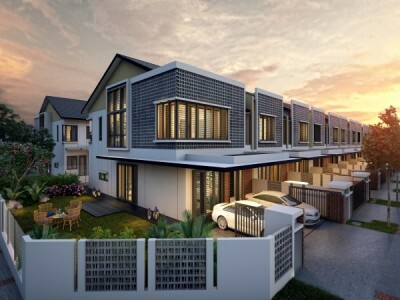 Moreover, Johor is a very popular area not only for Malaysia home buyers but also for Singapore home buyers and investors especially in Johor Bahru area, while Penang is a famous area for foreigner’s investors. With Malaysia rapidly growing, public transportation such as LRT/MRT/KTM will be expanded for the people to enjoy the comfortable and conducive lifestyle. Thus, the new property market in Malaysia is changing rapidly, so find your new properties now and get your ideal home by using NuProp! NuProp is a portal site that provides new property listings and covers wide areas in Malaysia including Klang Valley (Kuala Lumpur and Selangor), Johor, Penang and other booming developing areas. Over 200 developers engage with NuProp to list up their property details for the user. You can search and compare new property launch project for sale (high rise & landed property) by comparing the range of prices, choices of floor plan, photos etc. NuProp helps new home buyers and investors to find a perfect home in Malaysia. NuProp is a new property portal site specialized for new home buyers and investors. First of all, you can choose your perfect location and property type such as new condominium, new apartment, new semi-detached/bungalow, new terrace/link house. Next, you can widen your specification by filtering price, completion year, tenure, floor plan and more. Once you find your ideal property, click the property details page to check for more deeper information. This information is all provided directly by the developers while NuProp helps in creating and arranging all of the details to make it more understandable for users. In addition, if you would like to know more on the property information or planning to visit project sales gallery, you can send your inquiry to NuProp as the developer will contact you to provides more additional details based on your request.